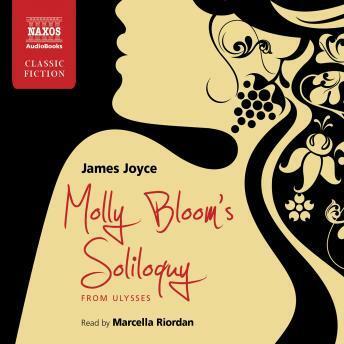 Molly Bloom's famous soliloquy from James Joyce's Ulysses is a languorous internal monologue, in which the passionate wife of Leopold Bloom meditates on love and life. While Bloom sleeps beside her (head to toe), Molly recalls her many infidelities, including the energetic sexual encounter enjoyed that very afternoon. Though difficult to read straight from the page, Marcella Riordan's beautiful reading of this passage brings out all the wit and passion of one of the finest passages of writing in modern literature.